House Building Tips for a better quality, more efficient & comfortable home. These are the best house building tips around. 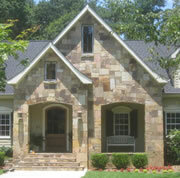 If you are building a new home, then the information on this site will be invaluable. My goal is to educate you about the house building process, materials, proper installation and general guidance to building a great house. I have been involved in the house construction industry most of my life and want to pass the information from my experiences/knowledge to you in your quest of building your perfect home. I have remodeled many old homes, been employed in several different construction trades & I am a major do-it-yourselfer. I currently own a home inspection company and have been inspecting for many years which is where my experience is most relevant since I get to see it done many different ways and what works & doesn't work. "Make no little plans, they have no magic to stir men’s blood." Guide to better indoor air quality of your home. Home inspection tips for your new home inspection. Make your own website for profit, I used Site Build It to create this website. If you need additional information or guidance on house building, I can help. "Always build a roof/porch over an exterior door to prevent water leakage. Most exterior doors will leak when hit by direct rain."